Dubbed the RCZ R, this striking coupe is the most powerful production Peugeot in history and was unveiled at the 2013 Goodwood FoS. The RCZ R uses an updated version of the 1.6-liter, turbocharged four-cylinder engine found in the standard RCZ, which produces an impressive 270 hp and 243 lb-ft of torque. 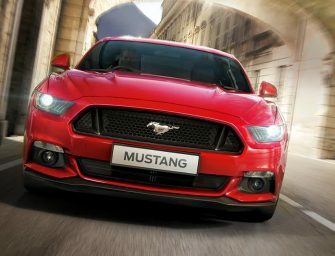 It can hit 100 kmph in 5.9 seconds and sports a beefier twin-scroll turbocharger, as well as a racing-derived steel exhaust manifold. Lots of mechanical upgrades have been done to the pistons, connecting rods, dampers and anti-roll bars making it a very capable little car. 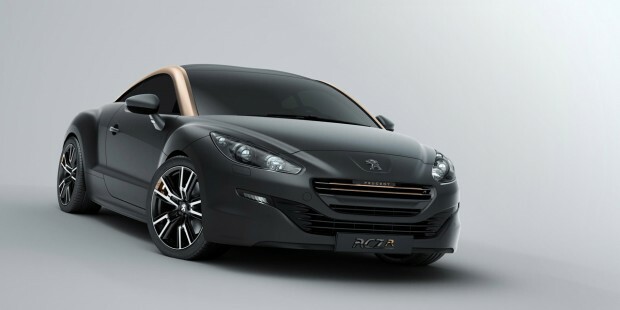 The Peugeot RCZ R will get its auto show reveal at the 2013 Frankfurt Motor Show in September before hitting European showrooms in early 2014. McLaren’s latest offering and part of the new breed of hyper cars, the McLaren P1 is the spiritual successor to the legend which was the McLaren F1. Unveiled at the 2012 Paris Motor Show, the P1 packs some serious performance under the extremely aerodynamic carbon-fibre body. 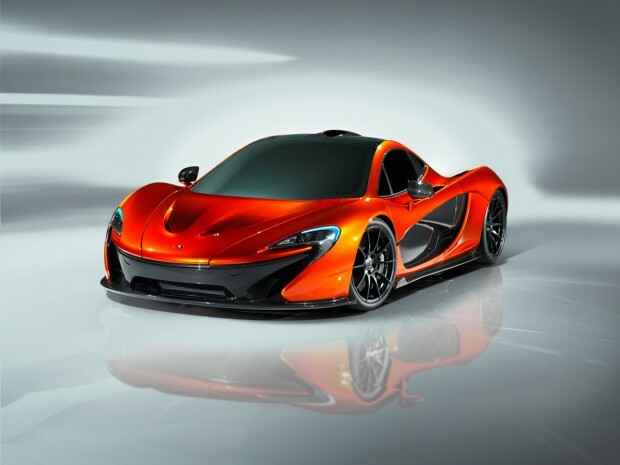 With a 903 hp hybrid powerplant which will slingshot the P1 from a standstill to 100 kmph in under 3 seconds, and to 300 kmph in 17 seconds, the P1 is a member of a very small and elite group capable of crunching numbers like those. If you haven’t noticed yet, the body is styled with the McLaren logo making multiple appearances all over the car’s sleek construction. McLaren really wants you to recognise this car when you see it fly past on the expressway. 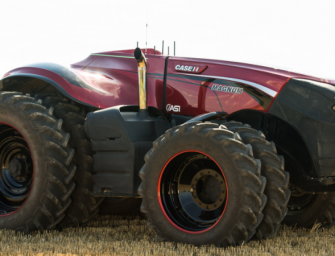 And if you want another number to feed on, the base model retails for a cool US $1,150,000. We at iGyaan love hot hatchbacks. Brimming with character and ambition, they really epitomise everything that’s wonderful about car culture. 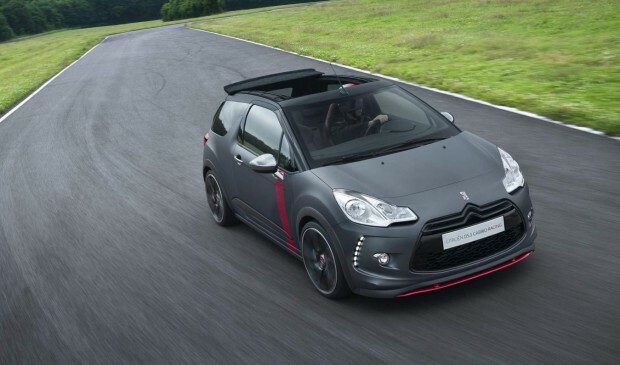 The Citroën DS3 Cabrio Racing is one such sporty little car, and was shown for the first time to the world at the FoS. A roll-top version of the DS3 Racing that was introduced three years ago at the Geneva Motor Show, it keeps the same 1.6-liter four-cylinder with 202 horsepower and 19-inch wheels. The entire package is coated in a stunning textured Moondark matte grey with black chrome, Carmin Red and DS-pattern accents. In fact, according to a few reputed sources, this isn’t just a concept anymore and is expected to go on sale in the UK next year. Unfortunately, it seems like we’ll have to wait a couple years more for the hot hatchback segment to really hit Indian markets. Another member of the new group of hyper cars, the Porsche 918 Spyder is truly an engineering marvel. The 918 is testament to Porsche’s belief that hybrid supercars will not only successfully exist, but they will dominate the automotive industry. 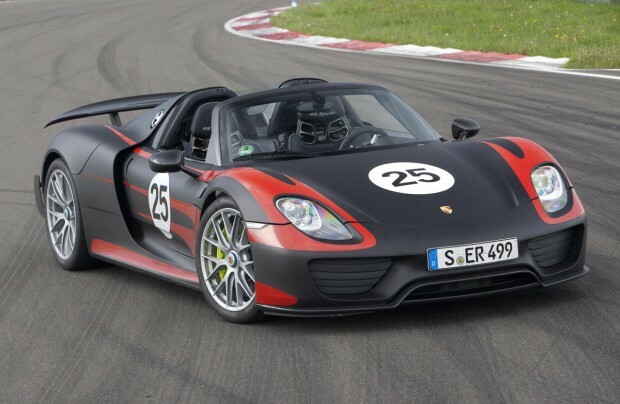 By far the most complex vehicle ever to come out of the Stuttgart-based automaker’s labs, the 918 Spyder is propelled by a hybrid gasoline-electric unit making use of a race-spec 4.6-liter V8 engine producing 795 hp, supplemented by two electric motors drawing power from a liquid-cooled lithium-ion battery pack. It starts up with the hum of a small electric fan, gently floats about without any combustion, and then takes off like a fighter jet when you put the pedal to the metal, onto a top speed in excess of 320 kmph. The base price is US $845,000 and considering the top-mounted exhaust pipes like the flare launchers on the 1966 Batmobile, we think its worth every penny. 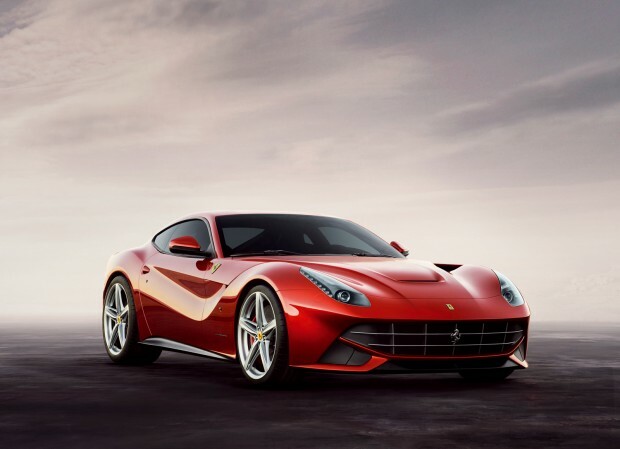 The successor to the Ferrari 599, the F12berlinetta F12 Berlinetta is one of the fastest production Ferraris ever built. The 6.3-litre V12 produces an unadulterated 740 hp and 509 lb-ft of torque propelling the big grand tourer from nought to 100 kmph in just 3.1 seconds. But the true measure of any Prancing Horse is the lap time around the Ferrari-owned Fiorano circuit near Ferrari’s hometown, Maranello. 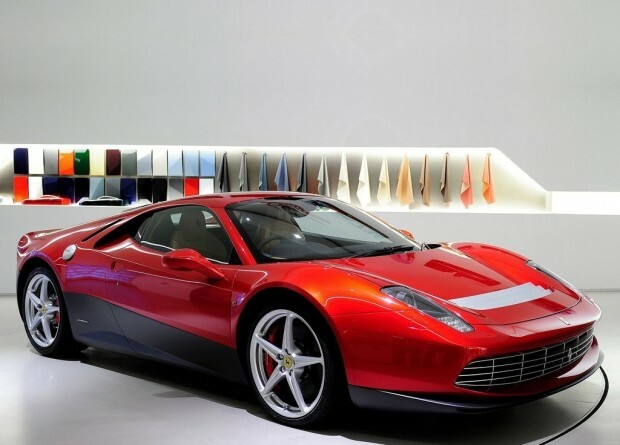 Ferrari claims that the F12 can go around the test track in 1:23. To put things into perspective, the previous record-holder was the 599 GTO at 1:24, while the Enzo clocked in at a ‘slow’ 1:25. A 0.299 Cd and 76 percent more downforce allows a top speed of over 337 kmph. The only one of its kind in the world, the SP12 EC was specially built by Ferrari for legendary guitarist, Eric Clapton, who was happy to let them use his initials in the name. Based on the chassis of the 458 and the bodywork of the 512 BB, the SP12 EC was designed by Centro Stile in Maranello, in collaboration with Pininfarina, the famous Italian car design firm. Mechanically, it utilises the important bits of the 458 Italia, including a 4.5-litre V8 engine and seven-speed dual-clutch transmission, but not many people know what the technical specifications of the one-off supercar really are. It reportedly set Mr. Clapton back by US $4.7 million. On to the maker of the ‘best car in the world’, the Rolls Royce Wraith made its dynamic debut at the Goodwood FoS. 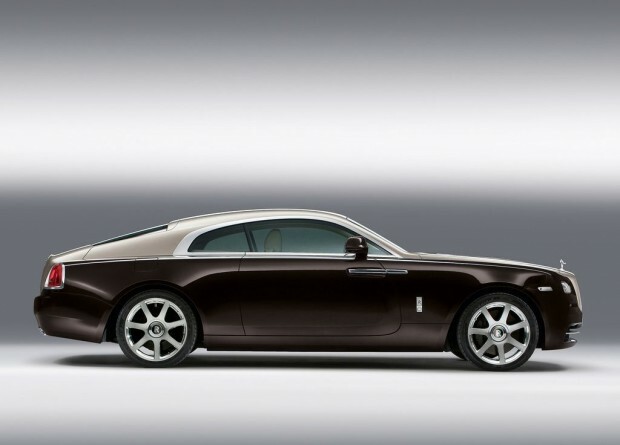 The most powerful Rolls ever, the Wraith was unveiled at the Geneva Motor Show. Although we’re wildly guessing that most people who end up buying the Wraith won’t be plowing it down racetracks too often, they very well could if they wished to. The 6.6-litre twin turbo V12 engine under the long hood of the luxury coupe produces 625 PS of power and a massive 800 Nm of torque. This along with Rolls Royce’s unique Satellite Aided Transmission technology fitted eight-speed ZF gearbox means that you go from nothing to 100 kmph in 4.4 seconds. 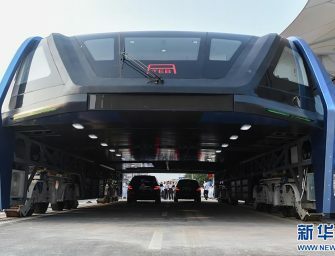 Keep in mind that this is a 5.3m long car weighing 2.36 tons and those figures become a whole lot more impressive. The interiors are typical Rolls Royce, providing the ultimate in luxury making use of all the features of the Ghost while also flaunting ‘premium’ creature comforts like the “Starlight Headliner” cabin ceiling southern French wood panelling featured in the superior Phantom models. 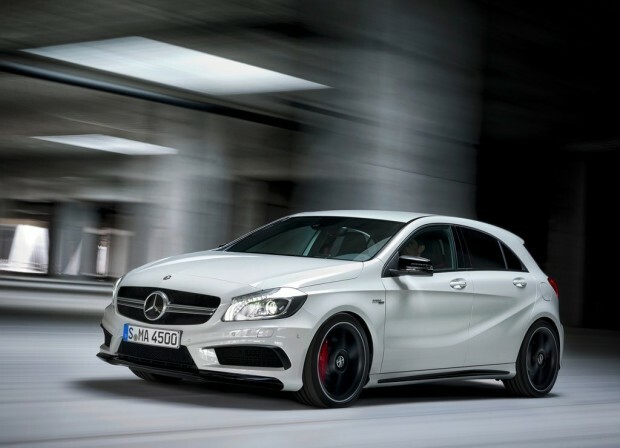 The Mercedes Benz A-Class was recently launched in India, and its AMG variant may soon be on its way as well. The striking A45 AMG hatchback had an impressive showing at the FoS as well, and unsurprisingly so. The potent little Benz only has a 2.0-litre engine under the hood but turbocharging helps it attain the highest specific output among production car engines, an astonishing 355 bhp. The hot hatch features a four-wheel-drive system for greater traction which helps it get from a standstill to 100 kmph in 4.6 seconds onto a top speed of 250 kmph. Those are some serious numbers for a hatchback. 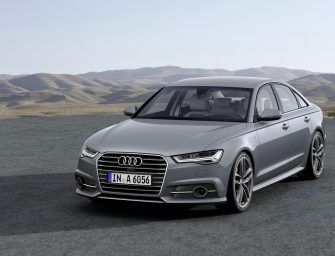 The car is expected to be priced upwards of Rs. 50 lakh if it finds its way to India. The coveted spot on the lawn of the Goodwood House was given to Porsche this year, where a sculpture is erected annually to serve as a backdrop to the FoS. This year, Porsche has put up three 911s, new and old, in celebration of 50 years of the iconic car’s existence. Other eye-catching cars at the Goodwood Festival of Speed included the stunning Jaguar Project 7 Concept, which is based on the new F-Type as well as the Bentley Continental GT3 race car. The FoS also saw the record-breaking auction of a Fangio-driven Mercedes Benz W196R Silver Arrows F1 car, at an unbelievable price of US$ 29.65 million. The 285 hp sub-700 kg Mexican Vuhl 05 as well as the eyecatching Alfa Romeo 4C were on display, as was the new Caterham 620, which may look like a small buggy to those who aren’t aware of it, but has a 0-100 kmph time of 2.8 seconds, making it one of the most fastest cars in the world in terms of acceleration. The Pikes Peak record smashing Peugeot 208 T16 also got a run around the much less challenging Goodwood hill and the Volkswagen XL1, known as the world’s most fuel-efficient car (at a truly staggering 132 kmpl) was on show as well.